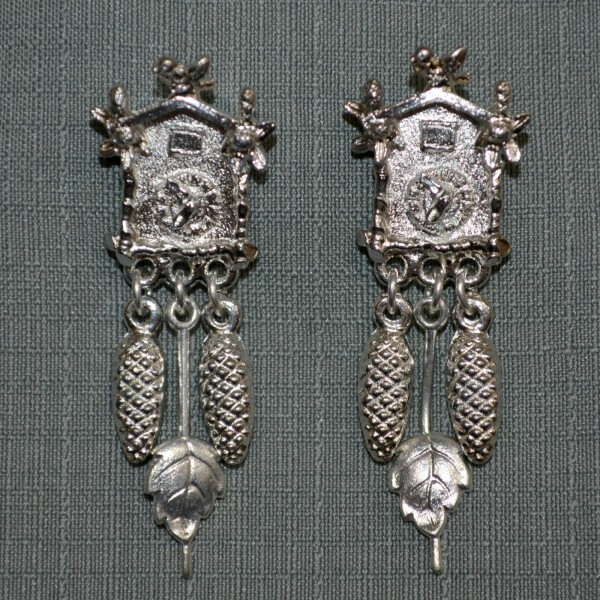 Post earrings featuring cuckoo clocks with dangling weights and pendulum. Bracelet features floral charms with black beads, matching necklace available. Edelweiss bracelet features surrounding pearls. Small silver heart necklace with painted edelweiss. Imported from Germany. Antiqued silver ornate edelweiss post earrings. Silver heart edelweiss post earrings with dangling red beads. This charivari is a perfect accent for anyone who wants to add some love to their tracht outfit.